Xbox One S: The advantages and disadvantages of the Mic.. 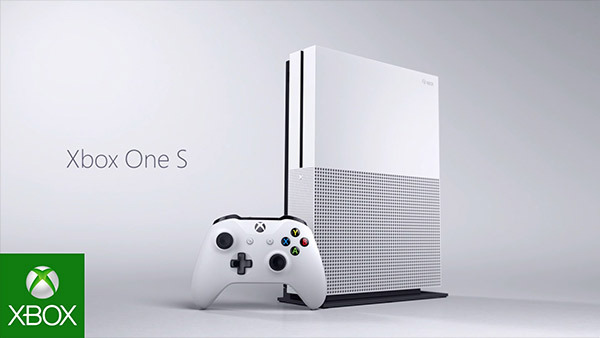 In the video games industry, it seems that although the most recognized brands such as Nintendo and PlayStation steal the attention of the world’s gamers with their products, Xbox becomes a serious challenger with a console that offers several interesting services: we’re talking about Xbox One S.
The console of the North American company has a possibility to be the best one. Xbox One is an ideal move for those who only wish to install the platform and start playing, without thinking of any excessive expense to buy a title. After all, now is the era of the Internet and if we don't have enough money to buy, we have more options. Curious? Just click here! To note, Xbox gives the possibility to access a wide catalog of several successes, such as exclusive releases of most popular games like see Halo 5, the Gears of War franchise, State of Decay, or other classics and even sports ones. To use them, the games are installed on the hard drive and they can’t be played through the cloud like other options. The advantage of Xbox Game Pass is to be able to subscribe for $ 6,990 per month, although first we have the option of a free trial of 14 days, so we can decide whether we need to take membership or not. On the other hand, one of the advantages of the service is to be able to have from the day of release the new titles that come from franchises that Xbox handles. In this way, we can enjoy video games such as Forza Horizon 4, Crackdown 3, among others. However, this platform is not the only platform capable of exploiting Xbox One S, because there are also other options to enjoy content through streaming with various applications such as Netflix or YouTube, or to play movies in 4K format, thanks to Blu-ray player enabling this technology. The above is added value, because unlike competition, there is no console capable of displaying this type of content on discs with this format, except for services via an Internet connection. Regarding low points, even though we have an extensive game catalog to take advantage of the devices, it's no less true that exclusive games present on Xbox aren't as much as what the competition provides, so if we search for products that point more to titles that can't be found in elsewhere, this console is not the best one, not considering that some games can also be achieved via PCs. However, it is worth mentioning that the latter can be an advantage, because we have the Play Anywhere feature, which means that we can play launches and resume them from various platforms, either on the console or on the computer. As we can see, with Xbox One S we have advantages and disadvantages, but again, if we need a console that can cover many games, One S is the best. It is important to note that the Xbox One S can upscale 1080p games to 4K - it isn't a real 4K console. The Xbox One X retains all the media sensibilities of the Xbox One S with an Ultra HD (4K) Blu-ray player, support for HDR content and Dolby Atmos.